New specs have appeared giving us a look inside the Nokia X Android model, suggesting it'll be a very low-spec budget phone. Conspiracy theorists might even suggest Nokia's making a rubbish Android phone on purpose, to make its WP models look better in comparison. 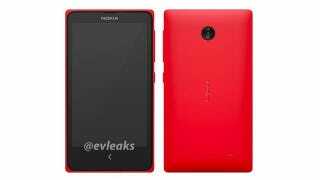 According to popular and usually on-the-ball Twitter news source EVLeaks, the Nokia X or Normandy model is powered by a dual-core 1GHz Snapdragon chipset, operating alongside a tight 512MB of RAM. That's not only a budget phone spec, its a 2012-level budget phone spec.